An absolutely beautiful day on the water today. Our first sighting of the tour came in the form of a few giant petrels patrolling the mouth of shark alley. We often see these birds in this particular area as they will feed on floating seal carcasses and anything else dead around Dyer Island. 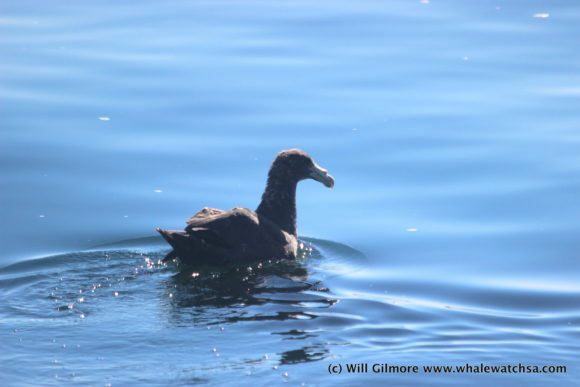 There are two species of giant petrels that frequent our waters, the northern and the southern giant petrel. They can be quite hard to distinguish as their plumage is quite similar, however, one defining feature can tell the two apart, the colour of the beak. The southern has a green tip to it and the northern, a red tip. 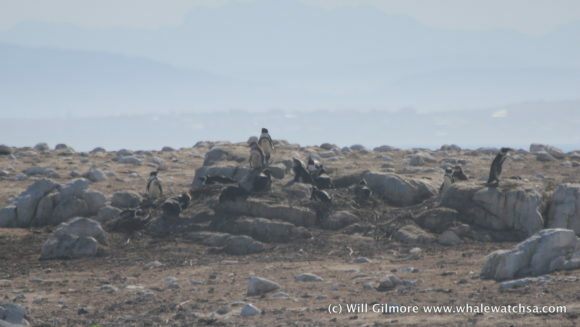 Next on the list was the little African Penguins on Dyer Island. Sometimes the can be quite hard to spot amongst the hustle and bustle of the island, however, in the absence of the cape cormorants it became much easier. We were even able to point out a few fluffy brown chicks amongst the adults, this is extremely rare and a huge testament to the Penguin House project undertaken by the Dyer Island Conservation Trust. 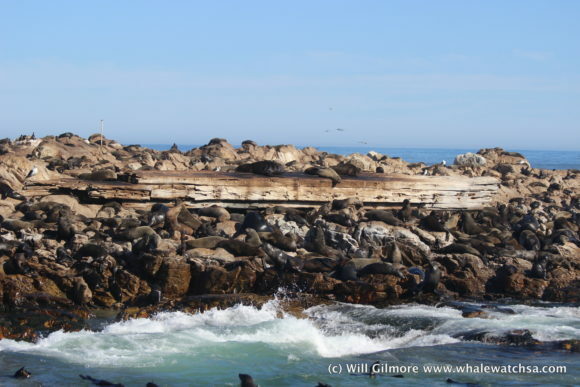 Thereafter, we made the short trip across the famous shark alley to say G’day to our 60,000-strong fur seal colony. Often confused with sea lions, the cape fur seal is genetically a different species but still considered in the same family. 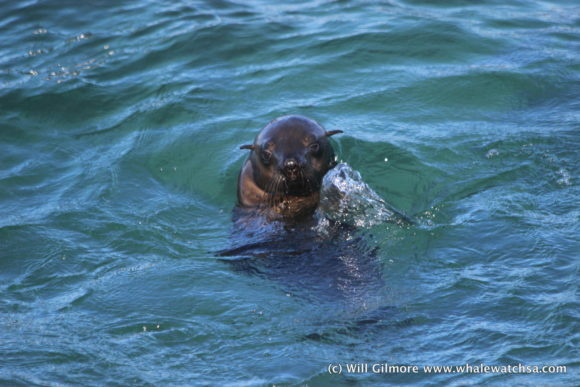 The cape fur seals, can often be peoples highlight of the trip and there is always a commotion wherever one gazes. Next, we moved on behind the island towards danger point. It was perfectly still making for stunning views. 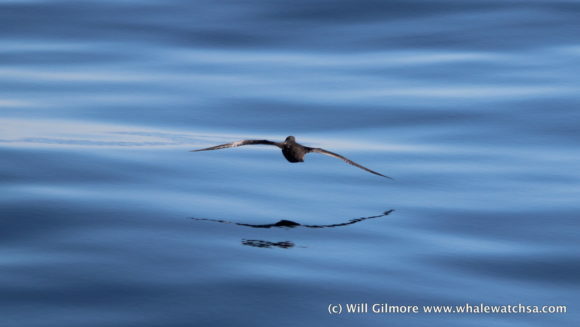 Unfortunately, the ocean looked slightly void of any cetaceans, but we did come across a few pelagic sea birds such as Corey’s and Sooty shearwaters, as well as the stunning cape gannets.